I have been to Byron a few times and did a review of their Camberley branch a while back which you can read here. 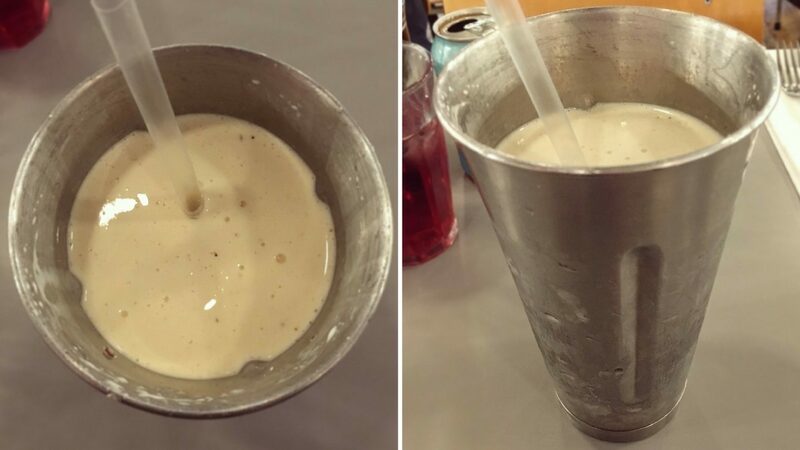 Alongside their standard menu they have one special milkshake and as part of their One Feeds Two Programme, one special burger. 2 weeks ago an email dropped into my inbox with their new upcoming specials. The burger was here nor there for me but then I spied the Milkshake…… Byron Reese’s Peanut Butter Cup Milkshake!! Actual squeals of excitement did occur! Byron isn’t exactly close to me but in the name of needing to try their Reese’s Peanut Butter Cup Milkshake, a visit was in order, and that visit was yesterday! Look at the size of it! It’s like a meal in itself. (It was also a little bizarre drinking a milkshake whilst chowing down on a burger). Reese’s Peanut Butter Cups are blended with vanilla ice cream and just a splash of milk make Byron’s new limited-edition, super thick milkshake. The shake was as suggested super thick. The smell alone had that enticingly sweet peanut butter smell that I could have happily dunked myself in, but that would have been quite the scene. 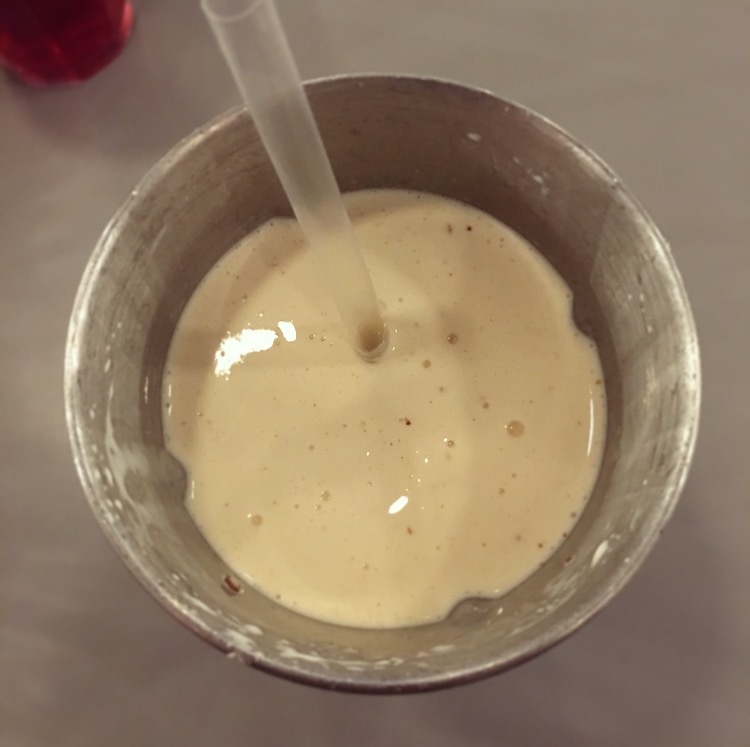 It was a bit of an effort to slurp the shake up the straw, but it was an effort worth making guys and gals because oh my oh my, it hits the taste buds and HELLO peanut butter milkshake heaven! There was just the right amount of Reese’s Peanut Butter Cups used to give it the perfect salty sweet peanut butter flavour to complement the rich creamy, velvety vanilla ice cream. As the slurping continued every now and again I got little nuggets of chocolate or peanut butter which was just a delight. 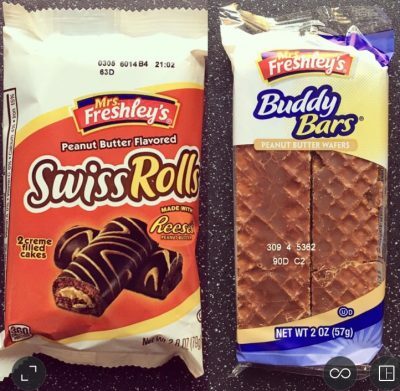 Just when you thought it could not get any better, what I thought was thick pockets of ice cream, was actually chunks of Reese’s Peanut Butter Cups, cue *hands in the air like I just do not care* moment. Yum Yum Yum! The Byron Reese’s Peanut Butter Cup Milkshake is a thing of beauty. In essence it really is so simple to make but oh so scrummy. My only bug bear with it is the price. £4.95 for a milkshake is a lot, and this reflects the prices of the rest of the menu being overpriced, £9+ for a burger and yet you do not get any fries, why is this?! That aside, peanut butter lovers you are going to love this milkshake so if you happen to be going to Byron’s this is a must try! But be quick it won’t be around for long. 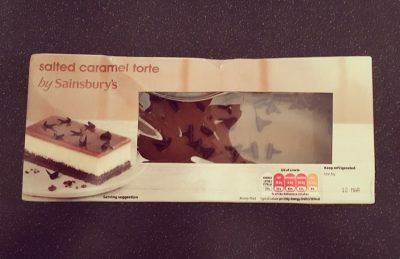 Mmm…how does it compare to the Krispy Kreme version?